interns. We did a VBS program with the children at the church and then afterwards we spent time outside just hanging out with the kids. I really enjoyed my time there! I am so happy that I got a great picture with Regina! I was actually surprised she let me hold her because she has been pretty shy around me for a long time but lately she has started to warm up to me. She is a really sweet girl! Then the rest of the day I stayed home where I worked on my blog and started working on the updates for the children in the village for their sponsors. It was a good day! 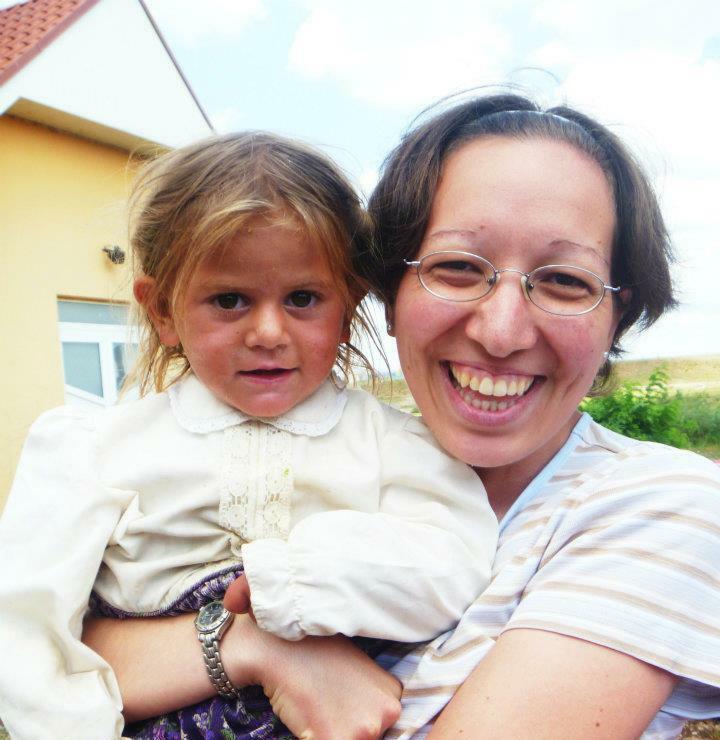 I have an urgent prayer request – I have to get my process started for my Romanian religious visa and it must be started this week because my friend who is helping me with my visa will be at camp next week and I’ll be at the orphan camp the following week. My papers must be faxed no later than July 16th, to Bucharest and I have to bring everything into the immigration office here in Oradea no later than August 13th. My friend Lori has been trying to get a hold of the pastor at the Pentecostal Centre all day but she has not had any success yet and we must meet with him this week before she goes to camp to get the papers that I need. Please, please pray for this because this is extremely important. Thanks so much!